Do you have plans for dinner tonight?? 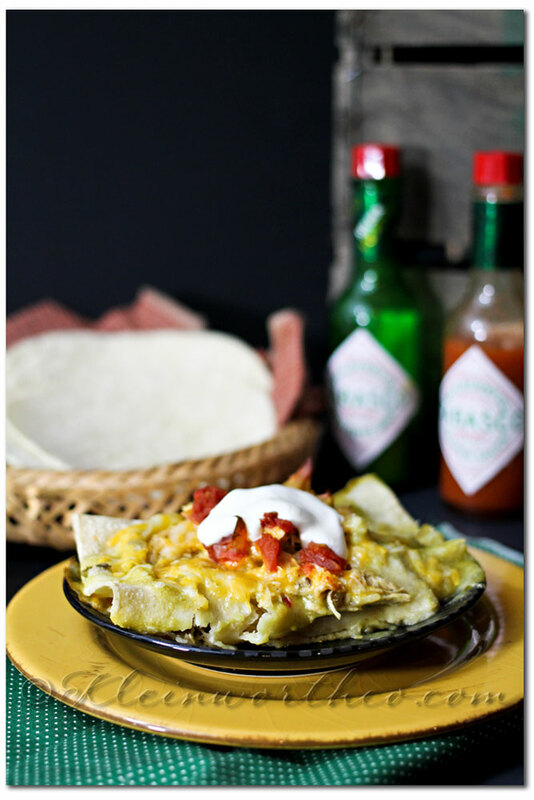 Looking for Easy Family Dinner Ideas? 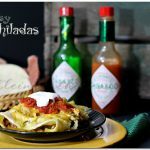 Well if not- I have the easiest enchilada recipe that you can whip up & your family will rave over!!! You know I am all about making things easy in the kitchen. I do best when it comes to things that are not so complicated – at least when it comes to dinner. I have a short attention span for things that are not sweets- so dishes like this make me happy. 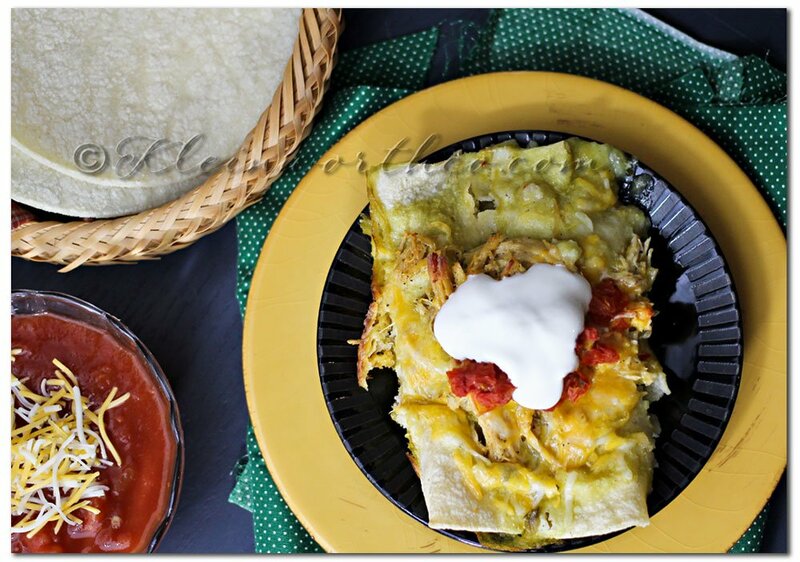 This recipe will make 20 enchiladas – which with the way my kids eat, is barely enough. You could half the recipe if you don’t need that many. This is something we serve for guests & when we have to bring something for pot luck night. Add chicken, beer, butter, garlic, apple, garlic powder & salt & pepper to slow cooker. Cook on high for 5-6 hours until you are easily able to shred chicken. When done cooking- Use slotted spoon & transfer the chicken to separate bowl. Shred chicken with 2 forks. Ladle a couple cups of liquid from slow cooker over chicken to keep moist. Spray 2- 9x13 glass baking pans. Stack 5 tortillas on a plate with a paper towel underneath, on top & in-between each one. Microwave for 60 seconds. This makes the tortillas soft & flexible. Working quickly add a scoop of chicken, then beans, then cheese & roll. Place in prepared pan. Repeat for all 20 tortillas. 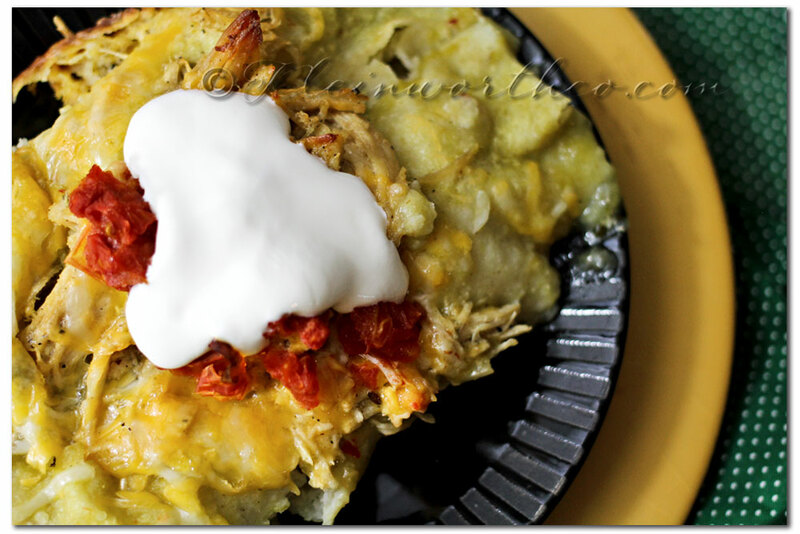 Pour enchilada sauce over the top of both pans of enchiladas. Top with remaining meat, cheese & olives. Bake for 30-35 minutes. Remove. Let sit 5 minutes before serving. Now it’s time for you to share! 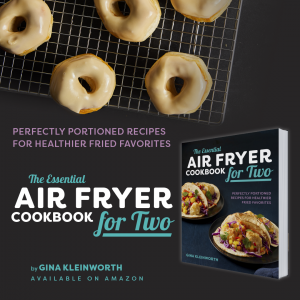 Gina, those look great. 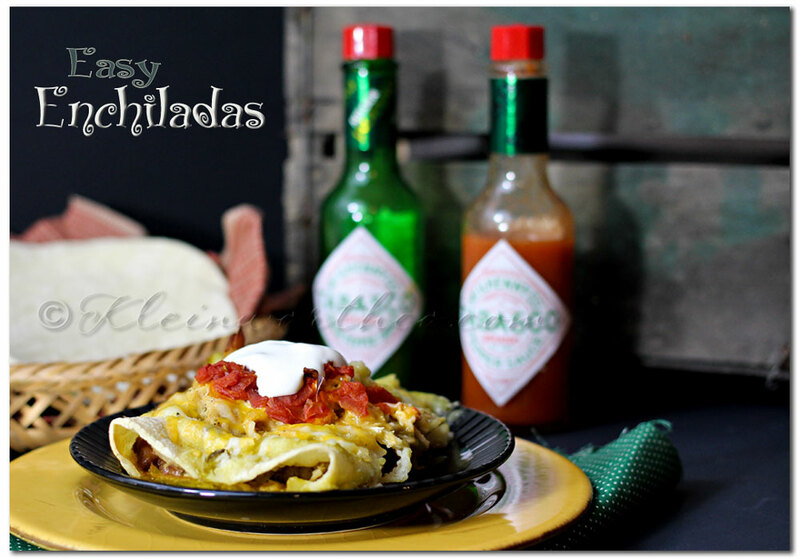 I have two enchilada recipes I switch between…I will have to give yours a try. Thanks for hosting. Another great recipe! You are going to keep me busy trying new stuff! 🙂 Thank you for sharing! Sounds yummy, Gina. I am wondering why you add the apple? This sounds and looks great! That looks delicious! Mexican is always my go to in a pinch. It always tastes good to me. This recipe sounds like a keeper! Hi Emily- I appreciate that. I will email you the link to download it for your post. Whenever you need an image- just let me know- happy to send it on over & I’m almost always within access to do so. Sending in a separate message now.